The 3D-LIVE project created, developed and experimentally evaluated a user driven mixed reality and immersive platform connected to EXPERIMEDIA's facilities. The project served as a case study for the investigation of Future Internet (FI) broadband capacity to support real-time immersive situations as well as evaluating both the Quality of Experience (QoE) and Quality of Service (QoS). The main objective was to explore 3D FI technologies and Internet of Things (IoT) in real and virtual environments using live scenarios. Creation of an experiential design methodology and holistic user experience (UX) model. The co-design of the 3D-LIVE experience and development of technical platform. The implementation and deployment the 3D-LIVE platform in real-world contexts. Experimental evaluation of the 3D-LIVE platform using case studies at real-world venues. The 3D-LIVE project delivered a virtual reality, immersive environment, reconstructing the real world in 3D models, in which users can experience, feel and interact with the real world and real distant users, in real time. Three sporting activities and venues were used as case-studies for the project: golfing in Laval, France, jogging in Oulu, Finland and skiing in Schladming, Austria. Our flagship outputs centre on the virtual reconstruction of Schladming’s world championship ski slope. Our reconstruction of the site combined high resolution 3D data of the mountain slope with re-created 3D models of the ski resort buildings. 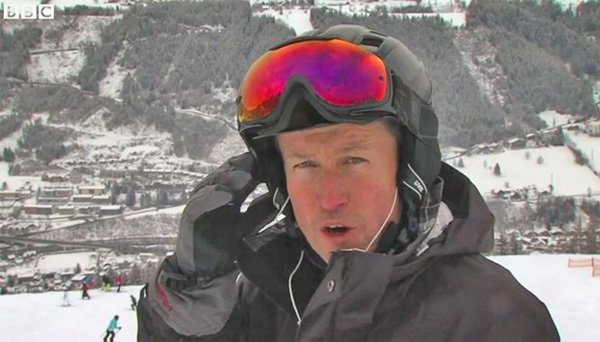 IT innovation captured real-time environmental conditions using its Environment Reconstruction Service (ERS) that fuses data from weather stations and wearable sensors (worn by the skiers) to provide effect data for the game rendering engine. 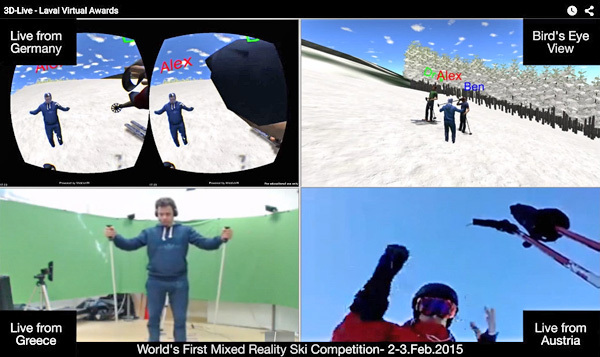 For the first time, outdoor skiers were able to see and interact with their racing partners using an augmented, 3D view of the slope and the player’s avatars (animated in real-time) in a head-up-display application developed by IT Innovation. Our focus on user experience also lead to our development of a Network Adaptation System which provides run-time estimations of network conditions between connected players and generates QoS recommendations for the compression of data representing full body, 3D reconstruction of players. Experimental work supporting the iterative design and technical development of the 3D-LIVE project was led by IT Innovation. The distributed nature of the 3D-LIVE system presented unique challenges to experimentally evaluating QoE and its relationship to QoS provided by the platform. 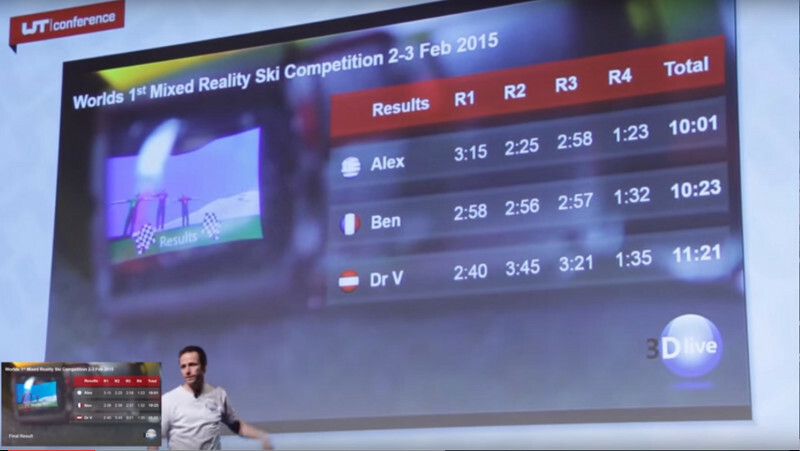 IT Innovation’s experiment management platform (EXPERImonitor, originally developed in the EXPERIMEDIA project) was used to capture such data in real-time during trial runs in all of the sporting venues. Results from the analysis of this data lead to improvements in key areas of interaction design and technical performance and ultimately culminated in the public demonstration of the final system on an international platform. 3D-LIVE: a design and evaluation framework for a tele-immersive mixed reality platform. In, First International Conference, Augmented and Virtual Reality 2014, Lecce, IT, 17 - 20 Sep 2014. Springer. Dynamic adaptive mesh streaming for real-time 3D teleimmersion. In, WEB3D Conference 2015, Crete, GR, 18 - 21 Jun 2015.. IT Innovation led and delivered on many aspects of the 3D-LIVE project including environmental reconstruction of live venues; creation of 3D-LIVE interaction and game designs; technical development of an outdoor AR system and an adaptive network data transmission system; management of the 3D-LIVE experimentation programme; and the public demonstration of the 3D-LIVE platform. The 3D-LIVE project was a 29 month project funded by the EC FP7 framework programme. 3D-LIVE has received EC research funding.